Leading Distributor / Channel Partner of Cooled Rotary Screw Air Compressor from Kolhapur. 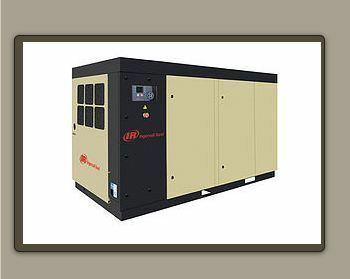 Ingersoll Rand Rotary Screw Air Compressors offer the best of time-proven designs and technologies with new, advanced features to ensure the highest levels of Productivity, Reliability, Efficiency and Serviceability. ??? High - efficient Gear Driven System. Time - Proven Reliable Airends.